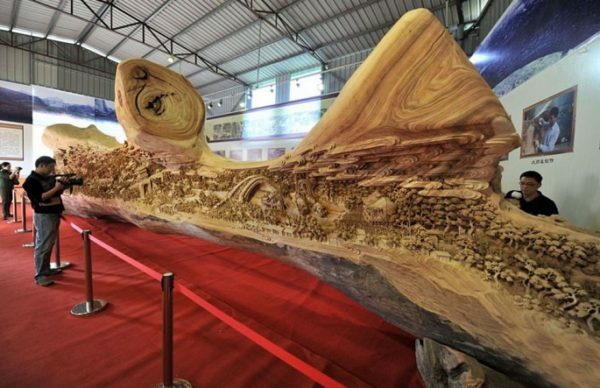 In China, the ancient practice of carving impressive sculptures into trees is a revered art form. 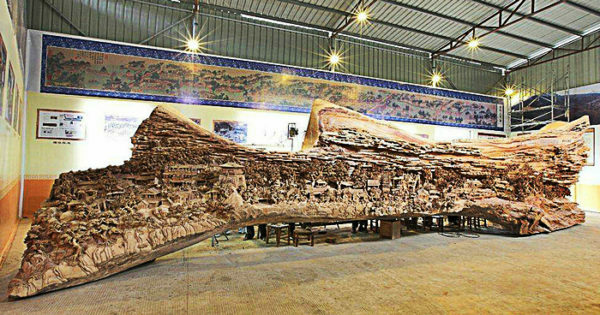 For centuries, its chisel-wielding masters have been turning bland pieces of wood into awe-inspiring masterpieces, but none as impressive as this mind-blowing creation. 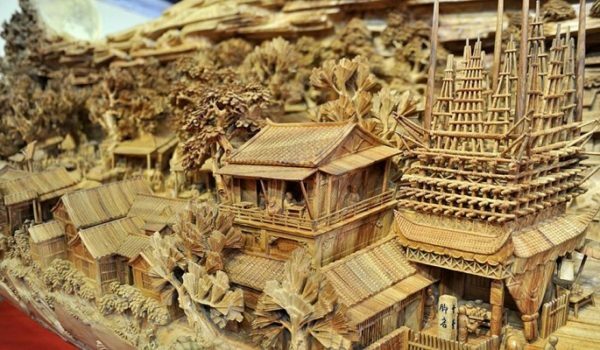 The artist behind this breathtaking and intricate piece is Zheng Chunhui. The breathtaking beauty of his work simply cannot be expressed into words, you just have to see it for yourself. 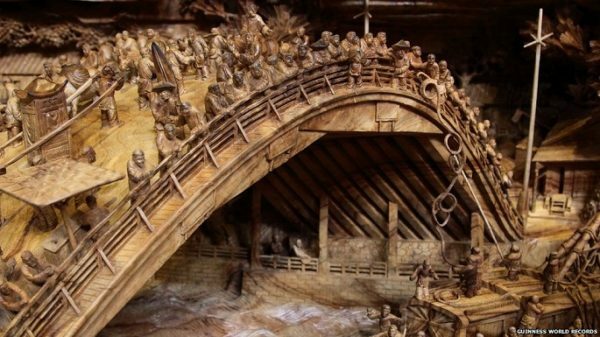 The piece is aptly called “Along The River During The Quinming Festival.” A very fitting name once you look at the piece in all its glory. 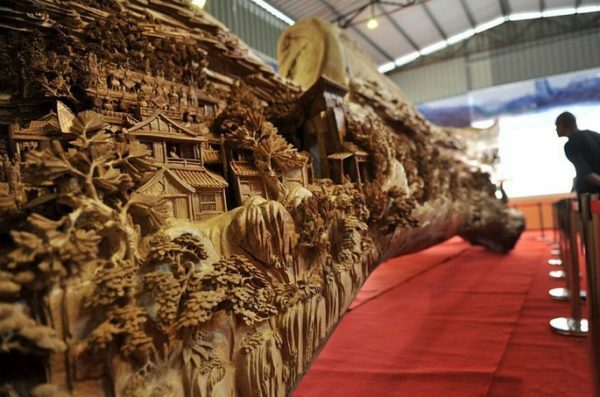 The carving spans all twelve feet of the tree and has been recognized by the Guinness Book of World Records as the longest tree carving in the world. It is inspired by a famous Chinese painting of the same name by Zhang Zeduan of the Song Dynasty. 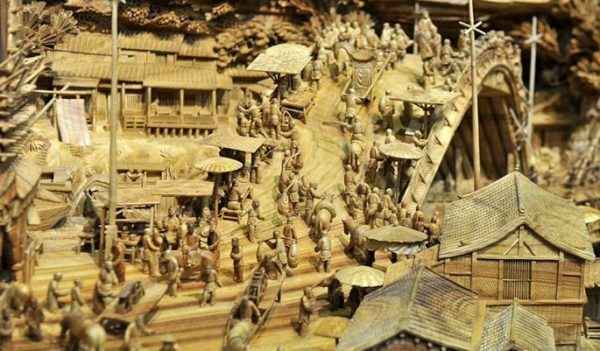 It depicts the festivities that take place during this springtime festival. The piece took the artist 4 years to complete. 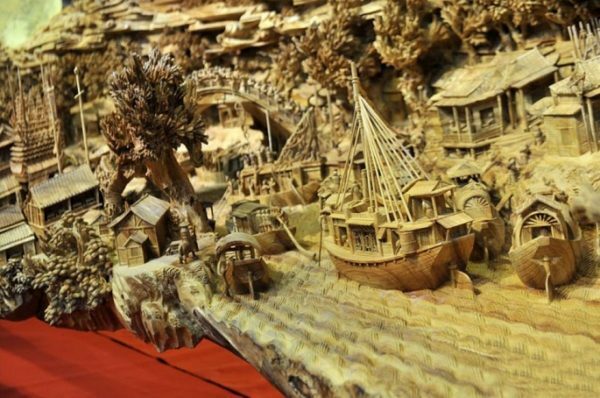 This spectacular work of art is a testimony not just to China’s great traditions, but to the unique art forms practiced for centuries within the country. What a sight to behold.